ROME - Silvio Berlusconi revealed in an interview Sunday that his party had asked new Premier Mario Monti not to run for office beyond his present term as part of negotiations to secure the Italian economist with crucial support from Parliament's largest force. The billionaire businessman, speaking to Corriere della Sera, reiterated that his party would decide on its support for Monti measure by measure. He also indicated he won't budge in his opposition to a tax on wealth that Monti is considering as one of his first actions to bring in revenue. Monti — a former European Union competition commissioner, who replaced Berlusconi as premier last week after the markets pounded Italy — is leading a new government tasked with trying to save the country from financial ruin. In just under a week, Monti has assembled a Cabinet of bankers, business executives, professors and other non-elected technocrats such as himself. Berlusconi, asked in the interview if he and his forces had asked Monti to renounce plans to put together a campaign lineup, replied: "It's true. We asked him and all his ministers to publicly commit themselves to not run as candidates in the next elections." Monti effectively ruled himself out of the spring election on Friday, when reporters asked him about his plans. But he stopped short of a flat-out denial of any political intentions, saying he never was a candidate for anything. Berlusconi remained coy with Corriere about his own political plans. He said his People of Freedom party's candidate for premier will be decided by primaries, and predicted that party secretary, Angelino Alfano, would emerge as the candidate. Alfano, a former justice minister hand-picked by the media mogul as his political heir, "has all the qualities to be an excellent premier," he said. Berlusconi and many of his supporters had been pushing for early elections, but the former premier appeared to have dropped that demand on condition that Monti's policies mesh with his party's line. "Monti must last until 2013," Berlusconi was quoted as saying. "The measures that he needs to bring to Parliament aren't just a few," he said. However, he warned that if Monti adopts measures which clash with the policies of the parties supporting him — "such as, for us, the wealth tax" — he won't be able to continue. Berlusconi's coalition partner for three premierships, the Northern League, has vowed to oppose Monti in Parliament. 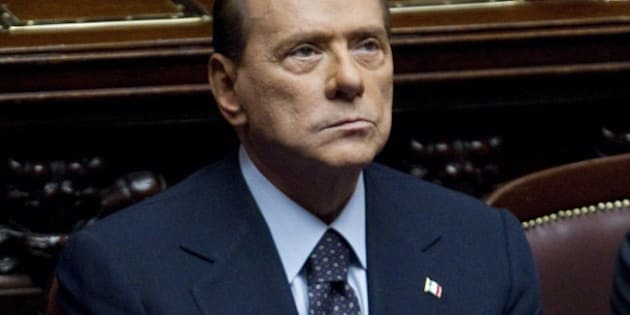 Berlusconi added that his centre-right People of Freedom party had asked Monti to lobby the European Central Bank so that it would be "the guarantor of last resort for the euro, just like the central banks are for the dollar, the pound, and the yen." He said he also sought a commitment from Monti to push for a revision of the EU banking regulator's rules — which he contended "are suffocating Italian banks" — and said his forces in Parliament would oppose any proposals for measures that could trigger recession, while "supporting all initiatives to promote development." Berlusconi has said a tax on wealth would stifle development.